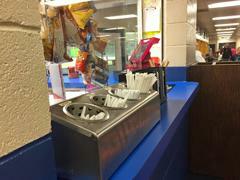 The Whitestown Wolfpack Concession Stand has it all! 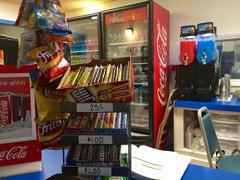 Hot Food, Cold Food, Coffee, Hot Chocolate, Ice Cold Drinks, Slushies, Candy, and more! We also offer Hockey Supplies like Tape, Mouth Guards, and Laces, plus apparel. Open during most WYHA Games and Practices, Whitesboro High School Hockey Games, and Public Skating. 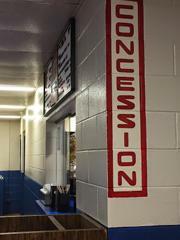 Next time you're at the rink please be sure to pay us a visit! Welcome back to another season of WYHA hockey and time at the rink. If you opted in to work the concession hours, your family will be responsible for 12 hours, which must include at least one high school game or open skate. If you do not fulfill this responsibility you will not receive your deposit refund. Please be sure to sign your name in on the clip board in concession stand when you work, or you will not receive credit for your time. We understand that emergencies do happen. Please be sure to text Laurie Potasiewicz if you have a conflict 315-292-8055. You can also text Laurie for the code to access the concession stand key, which is located on the door. If you sign up for an open or close shift, please be sure you are familiar with the procedures for those shifts. Public Skates and High School games will typically have more than one person working. Laurie Potasowicz will be organizing a training session for anyone that is unfamiliar with the concession stand. Stay tuned for details. If you have any questions or concerns, please feel free to contact wyhaconcession@yahoo.com. Thank you and we look forward to another great season at Whitestown! ©2019 Whitestown Youth Hockey Association / SportsEngine. All Rights Reserved.